*This first appeared on PBA.ph. This is going to be a helluva physical and intense fight. Both PHI and IRQ came a way with wins yesterday on Day 2 of the Asia Cup, and this could very well be the game that will determine the frontrunner for the #1 spot in Group B. Getting a 2-0 slate after Day 4 will be huge, and it will give the successful team the inside track not only to the group's 1st place but also an automatic ticket to the QFs. The last time these two teams met was back in the 2017 Jones Cup in Taiwan where Gilas prevailed in a tense and physical affair, 84-75. That was a predominantly Cadets team that beat Iraq, though, and the Iraqis were still parading a different import, Demario Mayfield. Now they have the more seasoned and more aggressive Kevin Galloway, and that could spell trouble for the Filipinos. Both are coming off emotional wins yesterday. The internet almost broke with Gilas's stirring triumph over bitter rival China, while Iraq sprung a sizable upset when they defeated Qatar, which was reeling from not having the injured Sammy Monroe. 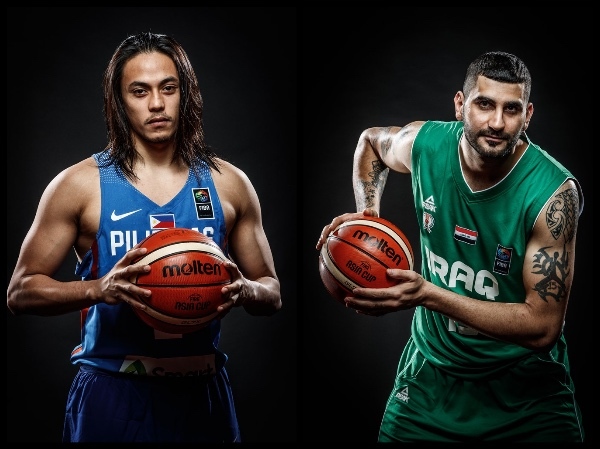 Both squads are heading into this encounter with considerable momentum, and though Gilas is the favorite to win, they cannot sleep on this dangerous Iraqi quintet. - Speed was a big weapon for Gilas against China. It's not that Gilas killed China with more fastbreak points, but more with how our guards broke down our defenders with our quickness and shiftiness. Jayson Castro and Terrence Romeo, in particular really shone, and they outplayed their Chinese counterparts. This will be crucial here as well, especially with playmaking not exactly Iraq's strongest suit. If Gilas's guards can get things going again, we can blow this game open. - Gilas had speed and also had shooting. Gilas had one of its best shooting games in memory, hitting nearly 60% of their three-point tries. That's a valuable weapon for a team that sacrifices so much size in nearly every contest. Needless to say, if the Philippine shooters catch fire again here, Iraq will have an extremely difficult time. - Interior defense was a concern for Gilas yesterday, especially with China's size, but coach Chot Reyes's thin frontline stepped up big time in terms of protecting the basket. Gilas had a total of 9 blocks yesterday, and that helped stifle the offensive flow of China. Against an Iraqi team with players who like to go strong to the basket (Galloway and Al Khafaji, in particular), rim protection will once again be a crucial aspect of the game. - Aside from our speed and shooting, another x-factor in Gilas's win over China was the superb supporting cast. To be spcific, bench players RR Pogoy and Raymond Almazan came through with notable performances. Both players were aggressive and undaunted despite facing the mighty Chinese, and their production was critical in Gilas's victory. For Gilas to win again, their supporting cast needs to hold their own against Iraq. - When Gilas beat Iraq in the Jones Cup, Kevin Galloway was not around. The versatile 6'7 naturalized player is back in tow now, though, and he will be a huge headache for the Filipinos. He is bigger than all of the Filipino wingmen and quicker than all of the Filipino bigs. He is a matchup nightmare, and he's the biggest reason Iraq finished among the top 4 in the 2016 FIBA Asia Challenge. Galloway will most certainly make his presence felt in this game, and Gilas has to step up to hamper his production. 2016 Asia Challenge stats: 19.9ppg, 9.0rpg, 5.1apg, 1.9spg, 2.4 triples per game. Previous game vs QAT: 16pts, 8rebs, 3asts, 3stls, 1blk, 2 triples. - Gilas shot well against CHN, but IRQ also shot pretty well against QAT. This could very well be a shootout, but it would also be a very good idea for Gilas to put the clamps on Iraq's snipers. If guys like Karrar Hamzah, Hassan Abdullah and Ali Ismael wax hot, the Filipinos could be in for a real dogfight. - Gilas was able to contain "Chinese Shaq" Han Dejun last night, but they will once again have to do a yeoman's job in trying to contain top Iraqi center Mohamemd Al-Khafaji. Al-Khafaji is not as big as Han, but he is much more mobile. Al-Khafaji loves sliding down the backdoor, running in transition and rolling off screens to the basket. He is the perfect off-ball center, and he can make lazy defenders pay. vs QAT - 10pts, 3/8 FGs, 5rebs, 1stl, 1blk. vs PHI (Jones Cup) - 7pts, 3rebs. 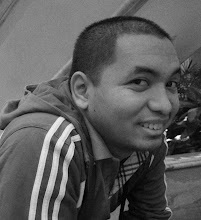 8) PHI: WHO WILL BE TOSSED? - It seems like in nearly every Gilas game, we have a couple of guys in danger of being ejected. Against CHN, Calvin Abueva got the boot for a disqualifying foul. In our last game against IRQ, it was Christian Standhardinger who got tossed because of 2 technical fouls. Who will it be this time? I hope nobody gets tossed because we will need all the warm bodies we can have to play and contribute on the floor.